The first documented arrival of missionaries to Japan occurred in the mid-16th century. For Europeans, Japan had long been a fabled place mentioned in the writings of Marco Polo. Fable became reality in 1543 when an off-course Portuguese trading vessel landed on Tanegashima Island, just south of Kyushu, the southernmost of Japan’s four main islands. Annual trading visits soon followed and in 1549, a ship brought Francis Xavier, a founding member of The Jesuits, to establish a base in Nagasaki (on Kyushu). The Christian message resonated in a country that had endured much civil war. The first church opened in Nagasaki in 1569 and converts nationwide totaled 20-30,000 by 1570. Efforts expanded to the capital city of Kyoto (on the main island) where a church was erected in 1576. However, language and cultural issues remained as missionaries attempted to force the Japanese to adopt western culture. Eventually, the missionaries began studying the Japanese language in earnest, adopting Japanese diet and practices. Converts grew at a faster rate, with a number of key daimyo (regional governors), along with their communities, embracing the faith. Christianity faced a greater challenge than culture: warring between daimyo in a divided nation. The latter half of the 16th century in Japan saw the country unified by three people. The first, Oda Nobunaga (last name first), unified half the country. Nobunaga allowed Christianity, likely to gain support of Christian daimyos as well as irritate large Buddhist sects arrayed against him. Nobunaga was assassinated in 1582 and his most loyal general, Toyotomi Hideyoshi, rose to power. Unlike Nobunaga, Hideyoshi was suspicious of Christians due to European conquests in other parts of Asia. In 1587, Hideyoshi banned the religion. The ban, though, was mostly a political statement. He stripped the most prominent Christian daimyo of his fief and confiscated church property in Nagasaki. Christians downplayed their activities, but the religion continued to thrive, particularly in Kyushu. In 1596, Hideyoshi proclaimed a second ban of Christianity. 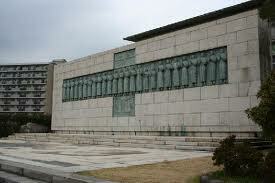 He arrested 24 Christians in Kyoto, humiliated them publicly, and sent them to Nagasaki. Two more were added to their total and all 26 were crucified in 1597. It is likely that persecutions would have continued. However, Hideyoshi died in 1598. By 1600, Tokugawa Ieyasu established himself as ruler, beginning the 250-year reign of the Tokugawa shogunate. Around this time, other European nations reached Japan, pressing for trade, and the Dutch gained the upper hand. By 1612, Christians numbered 220,000. However, concerns over possible Christian allegiance to Rome led Ieyasu to ban Christianity from the new capital of Edo (Tokyo). In 1614, all churches in Kyoto and Nagasaki were destroyed. The next several years saw numerous martyrdoms as the government attempted to control the population. In 1629, the government began requiring suspected Christians to stomp on images of Christ and Mary. Those that didn’t were tortured, either to recant or to death. In 1635, Ieyasu’s grandson outlawed Catholics, restricted the Dutch, and prohibited other Europeans from entering and any Japanese from leaving. 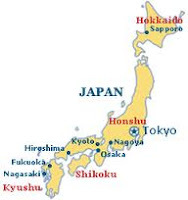 In 1638, a tax uprising of Christians in Kyushu was put down and approximately 37,000 people were executed. The religion was successfully driven underground. Further missionary visits to Japan saw those missionaries executed. In 1853, four U.S. ships, under the command of Commodore Matthew Perry, steamed into Edo Harbor. Commodore Perry demanded that Japan open trade with the West. The arrival of these ships created an internal struggle that eventually produced the downfall of the Tokugawas. By 1873, Christians, descendants who’d maintained the religion in secret over two centuries, were allowed to openly practice again. As a prize for today’s post, my wife has made an origami Kissing Ball. A Kissing Ball is like a Christmas ornament, though it can be used for other occasions. It’s not innately Japanese, but the origami part is. Again, thanks for having me today. About the author: Walt Mussell is represented by Terry Burns of Hartline Literary. He has several magazine credits and one published novella in a Christmas anthology titled Hot Cocoa for the Heart (http://www.amazon.com/Hot-Cocoa-Heart-ebook/dp/B0064VYNZM/ref=sr_1_1?s=digital-text&ie=UTF8&qid=1377217861&sr=1-1&keywords=hot+cocoa+for+the+heart). His primary focus is historicals set in medieval Japan and he refers to his work as “Like Shogun, but the heroine survives.” He maintains a blog called Daddy Needs Decaf (www.waltmussell.blogspot.com ) where he talks about parenting challenges. If you have a chance, please check out his book and/or visit his blog. Melissa, thank you. The tagline hit me while I was at RWA and I like it, though I hope it's not a spoiler for anyone that wants to read Shogun. Even with the religious freedoms we have lost - we are still blessed, compared to some countries. We must fight to protect our right to worship, & support missionaries who risk their lives to reach others. Bonnie, my pastor once referred to Japan's Christians as the great unknown martyrs. Many people were killed in the effort to stamp out Christianity. Thanks for the post! I had no idea about the Christian heritage in Japan. Why did you decide to write historicals set in medieval Japan? Thanks for the post! Sally, I decided to write about Japan after a visit to Himeji Castle on a family trip in 2008. Himeji Castle is one of the few original castles left in Japan. It is also the castle of choice for western movie makers. ( Shogun, You Only Live Twice, and The Last Samurai used Himeji Castle.) On the 2008 trip, I saw a cross on the roof tiles of Himeji Castle and learned that the cross had survived the laws against Christianity. What made this more interesting is that the current Himeji Castle is the result of a massive reconstruction that took place between 1601-1620. The cross tile was actually part of the castle prior to the reconstruction and the nine samurai (I think it was nine) in charge of the reconstruction decided not only to keep the cross but to allow it to be displayed openly. That is very interesting! Thanks! Thanks, Walt! I've never read Endo's "Silence," but I knew the story behind it thanks to my sister-in-law who did read it and it still haunts me. It's a sad story. I keep seeing articles that Martin Scorsese will be producing "Silence," but the project keeps getting pushed back. Thanks, Walt, for the summary of Christianity in Japan. It's interesting that while Christians are a tiny minority in Japan, eight of Japan Prim Ministers were Christians.You may wish to connect with Tokyo's Women Christian University who has a big Department of Literature and Culture in English. They might like your novels. Kindly take me out of the contest for your wife's pretty origamai kissing ball. Best wishes with your novels. Giora, thanks for the suggestion. I hadn't thought about that university. The library I've really been wanting to see is at the University of Michigan. I have resource materials publoished by University of Michigan and I've heard that the Japan historical resources there are the most extensive in the U.S.
*published. :-) I definitely need more coffee. Walt, I found your post so very interesting this morning. We are so truly blessed and take so much for granted. Your wife's origami kissing ball is beautiful and I would love to have it hanging in my home. Melanie, thank you. I will let my wife know of your kind words. Thank you for sharing this history of Christianity in Japan. I am so thankful for the religious freedoms we enjoy in this country! While I was in high school, I visited Japan for two weeks as part of an exchange program. I found it to be such a fascinating culture! The Kissing Ball is lovely!! Britney, when we go back as a family, we always go for two weeks and it never seems like enough. Though we haven't planned the next family trip, I can't wait until it happens. Walt, Thanks for visiting us here on CFHS. Your post was fascinating. We have such freedoms--at least for now--in America that we sometimes forget people in other countries, even today, are giving their lives for their faith. I really liked the part of your article that mentioned that Christianity survived underground for over two hundred years. That's parents teaching their children about their faith for many generations. Vickie, I'm amazed that Christianity survived as long as it did underground like that. I put that question to an author in Kyoto who has written a book on the Kakure , Japan's hidden Christians. He told me that the the Christians in hiding likely behaved similar to the French underground during WWII, as far as the way they hid their faith. Great post, Walt, though I admit to some moderate disappointment that you are not posing with a Samuri sword. Tina, ths picture I have of me with a samurai sword scares my wife, as she figures the wardrobe I wear impacts her as well. It was taken in Kyoto at Eiga-Mura (translation: Movie Town), a tourist attraction that is also used for samurai drama movie and TV sets. I've been interested in Christianity in Japan for some time. We have the most amazing thing in our church here in Springfield, MO (Central Assembly of God). Two wonderful Japanese missionaries have come to America to work with international students and others.They are supported by the Japanese church and similar programs are going on in several places in the United States. Our church provides the meeting place and publicity. Ada, that's great to hear. One of the things the missionaries discovered upon returning to Japan is that the Christian practices of the Japanese no longer resembled anything what it did back in the early 17th century. A new denomination had essentially been born. A wonderful post, Walt. Thank you for sharing. I have an uncle who is from Japan and have always been interested in the country. I didn't know the history of missionaries there. Nancy, thank you. One of the interesting early comments about Japan came from Francis Xavier. Xavier advocated language study by his subordinates. His personal opinion on the language was (and I'm paraphrasing), "The Japanese language was invented by the devil to prevent us from bringing the gospel to the heathens." Later church leaders weren't as commited to learning local customs until one leader made an interesting admission: Japan may have inferior technology, but it's a superior culture. (i.e The 16th century Japanese were definitely not heathens.) This particular leader introduced intensive language study and required the adoption of such Japanese practices as eating with chopsticks and regular bathing. Walt, wonderful blog. My husband, our two kids, and I are currently living in Japan, moved here by my husband's employer. Before we moved, I searched for information about Japan's Christian community, and was disappointed to find so little about them save that there were few. And for some reason, this history is not talked about in the churches we've visited here. Thank you for posting. You've given me some leads that I would not have found otherwise. What a blessing! And I think I agree with Francis Xavier. The language is very difficult, and my husband and I have had trouble using more than a few words. What I find fascinating and heart-warming, however, is that the Japanese people respond with so much kindness even when I've butchered a word or two. On the whole, we've found the Japanese to be a kind and gracious people. K.M., I doubt that what happened is taught much in schools. That is probably why. With regards to the language, it it difficult. And I agree with you on your comments about Japanese people. Japanese people with great kindness to anyone who attempts a few words and it's been said that knowing just ten Japanese words will get you through most situations. Wow, amazing info in your post. The history of Christianity in Japan is something I had never thought of. So horribly sad to think of all those people dying. Yet, that is what we are asked to do - stand up for our beliefs. Walt, I want to thank you for visiting with us today! And that kissing ball is just beautiful! I can't wait to have you come back and visit again. We'll have to arrange a date for a return visit! Great post Walt! I love anything about Japan. I was an Air Force Brat and lived on the island of Honshu from the time I was 6 until I was 10 years old. My dad was stationed at Tachikawa AFB which no longer exists. I loved it over there and would love to go back some day. Cindy, I'll bet you learned the language pretty well, having been there at a young age. You're lucky. Darn it! I missed the giveaway. Just wanted to say this was a wonderful write-up. I'm a big fan of the Otori series, which takes place in a fantasy version of feudal Japan. In it, the Hidden, are practitioners of a religion that has been banned -- but it's very thinly veiled that the Hidden are Christians. Your post gives a glimpse of the historical background the fantasy series drew from. I've read a few books in the Otori series. There are sections that feel realistic enough to make me cringe. The series is an excellent read. I just realized that I had not posted the winner yet. Winner of the kissing ball is Victoria Dixon. Walt, Thanks for this article today. I really, really enjoyed reading it. I didn't know any of this. The authors teach us so much about History and not boring like it was long ago when I was in school. And, probably even today. I am so happy to hear about the Christianity, except for so many dying while to tell others of GOD. I think again it might be hard to preach there. Am I right? I am going to go to your site online. I would love to win this ornament that your wife made. Very interesting. Thanks. Hard to preach there? I don't know. I did meet several minsters while I was there and they loved preaching in Japan.